Alisdair graduated from The University of Dundee in 2011 and has worked in both Stirlingshire and Lothian before moving to Dentistry @No3. He provides high quality general and cosmetic dentistry and has undertaken training in high speed braces™ and Invisalign, giving patients their perfect smile. 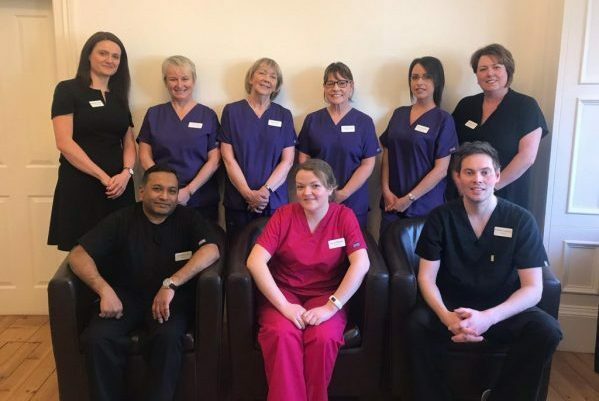 Since graduating, Alisdair has continued to develop and enhance his skills, achieving a Diploma of Membership of the Faculty of Dental Surgery, and has completed a certificate in Restorative Dentistry through the Tipton Training Dental Academy. He is committed to furthering his knowledge and skills and is currently undergoing further training to carry out the placement of dental implants. 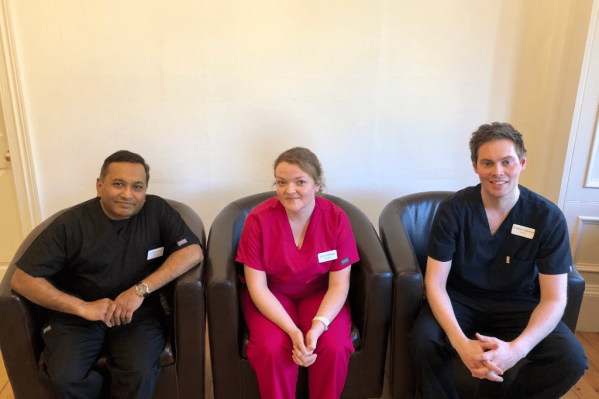 Alisdair enjoys working with patients that are dentally anxious, taking the time to ensure that they are put at ease receiving treatment in a relaxed and pain free way. 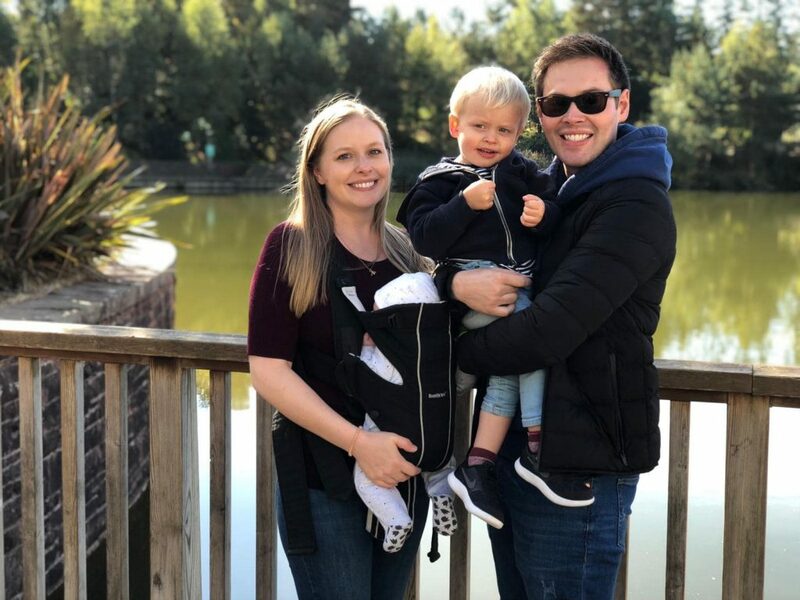 Outside of work Alisdair enjoys spending time with his young family, travelling, socialising and playing golf. Mark is the practice and owner and Is Scotland’s Advocate For *Pain Free Dentistry. One of the Youngest Winning Dentists of a Masters Degree in Restorative Dentistry when he was just 27 years of age is Crusading to Bring the People of Scotland Pain Free Dentistry. Mark is a member of the “Association of Dental Implantology” and is the publisher of three Guides and has also written the book “Why I Love My Dentist More Than My Valentines Chocolates”, which focuses on his pain free dentistry techniques. Ignacio (known as Nacho) studied dentistry in Valencia, Spain, where he completed his degree in 2009. After completing this course, Nacho knew he wanted to learn and get more training in implants and restorative dentistry, so he decided to start a 2 years master degree in Implantology and Biomaterials at the University of Toulouse, France. He’s been working with implants since then. Nacho is very interested in aesthetics and implant dentistry and he has attended numerous courses through the years, such as Digital Smile Design. Alan brings over 40 years of experience to the practice and has a special interest in dental implants and restoring lost teeth. He has attended courses in Germany and all over the UK and is an active member of the Association of Dental Implantology. Sridhar is a very experienced general dentist who has a special interest in treating patients who have periodontal (gum) disease. We can all suffer from this at some time in our lives and now we can help patients within our practice, rather then referring them to Edinburgh for this specialised treatment. His other skill is in the field of endodontics – root canal treatment. This is where the nerve of the tooth dies off and causes an abscess. The treatment demands great skill to achieve a long lasting result and he is also able to re-treat previously root treated teeth to prolong their lifespan. For both of these treatments, we welcome patients from outside of the practice who may wish to attend for just this specific work and then return to their own dentist. Sridhar has previously worked both in practice and in a university in India, where he rose to be a professor heavily involved with teaching dental students. You will see this from the way in which he explains everything and his very friendly,gentle manner. I’ve been a dental therapist now for 10 years and I love it, I can’t imagine doing anything else. I’ve recently bought a flat in Dunfermline with my partner and am spending all my free time decorating. I enjoy crocheting, baking, spending time with my niece and nephews and watching outlander! I have worked in dentistry for over 10 years. I am now the practice manager and Smile advisor at Dentistry at No3. I love meeting and chatting to new people and watching their smile transformations. In my spare time I spend a lot of time with friends (usually eating or drinking) and my dog Walter. I also enjoy baking and running. I have worked at Dentistry at No3 for 16 years. I work part time with Laura as I have several small grand children and two dogs. In my spare time I like to keep fit walking my dogs and going to Pilates. I have been with the practice for 27 years and enjoy all aspects of dentistry from simple fillings to complete smile makeovers. When I’m not working I enjoy dog friendly holidays exploring Scotland, various arts and crafts and spending time with my new (and first) grandson. I’ve been a dental nurse at no.3 for 11years. I love working on cosmetic cases, helping patients achieve the smile they have always wanted. My time outside work is taken up by my bubbly 3-year-old daughter- going to princess parties and wearing anything that glitters and sparkles. I also love going out to dinner with my husband when we can and of course a glass of prosecco at the weekend. I’m Irene. Have been a dental nurse since 1975 and have embraced all the changes over the years. I’ve recently become a grandma to Sofia. My hobbies are yoga, swimming and reading. I am also a reiki practitioner. I have been with the practice for 13 years. It’s a lovely place to work and I really enjoy meeting and greeting our lovely patients. The rest of my time is taken up supporting my sons football team and walking my gorgeous dog Charlie.